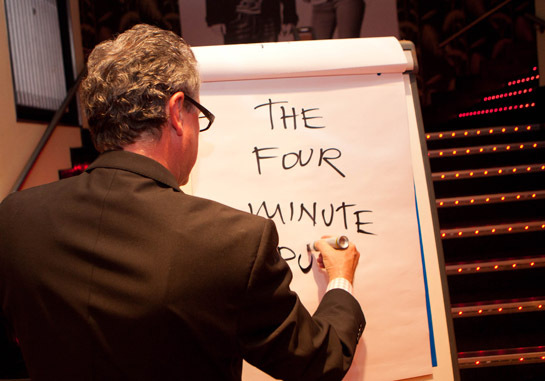 Use the power of the four minute rule to wow your customers. Imagine if you could create a brilliant first impression with everyone you met? 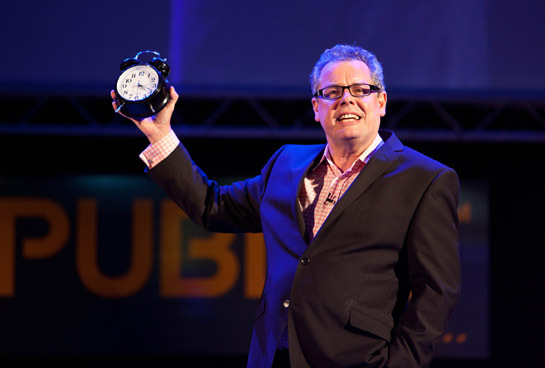 Europe’s No1 Motivational speaker, Steve McDermott – a Fellow of the PSA (Professional Speakers Association) and founder of The Confident Club – shares a big McTip on how just by applying the four minute rule you can create the very best first impression and why it’s so important you do it all the time. For example, in research done with juries after a trial, and with mock juries in experiments when asked the question, “When did you decide the defendant was either guilty or innocent?” it’s been discovered the answer was within four minutes. There is evidence to say it could even be as quick as seven to seventeen seconds of interaction with strangers before they form an opinion of us (then you’ve got up to four minutes to recover from a negative impression before it becomes lasting). In other words most people take one look at the defendant, before they’ve even had chance to open their mouth, and decide either guilty or innocent. Then the filters go up and all they hear for the rest of the trial is anything that proved them right in the first place. I got Mcthinking about this and, many years ago, began an experiment with my most important customers just to see if the four minute rule was really as important as it would appear. Now I don’t know about you but my most important customers were at one time quite small (I mean height wise) and quite demanding. I’m of course talking about my kids. When they were little if I was ever away overnight on business, or especially away several nights, then typically on my return this would happen. I arrive home grubby and tired from traveling, I’ve been on a plane and then in a car for hours, I open the front door and am greeted by three small bodies hurling themselves at maximum velocity down the hall and attaching themselves limpet like to my arms and legs whilst shouting in unison at the tops of their squeaky voices “DaaaaaaaD!”. Now in the past right at that moment it had been really tempting to say, “Kids will you just let me get in the house, take off my coat, put my bag down”. 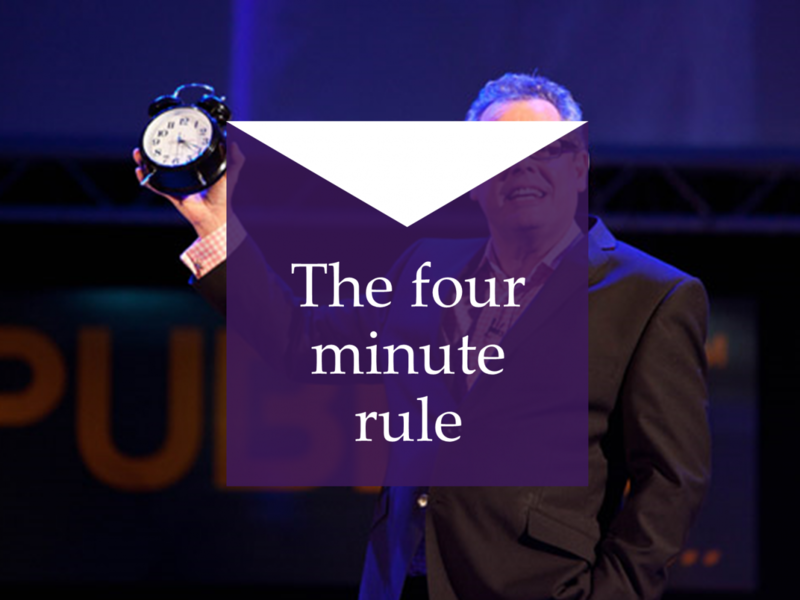 Use the power of the four minute rule to transform your customer relationships I trained myself to obey the four minute rule by putting a stick-it note on the dash of the car which said “check your mood” (Otherwise I was liable to forget) then when I was about a couple of miles from home I’d check my mood. Well if I was in the car I might have been driving for a while and might be a bit crumpled. The fastest was to change how you feel is to firstly change your physiology. So I might sit up straight, I might look in the rear view mirror and put a big stupid grin on my face and to help I might whack on a favourite piece of music, one I’ve especially saved just for this moment. My choice is a truly brilliant piece of Northern Soul “Better Use Your Head” by Little Anthony & The Imperials. Then to also change my mood, I’d change my focus by asking a high quality question. It’s a question that you can adapt to almost any situation. My question goes, “How would the best Dad in the world act when he walked in that door?” and that’s how I act (yours could be anything from “How would the best presenter in the world act as they walked onto stage?” to “How would the best leader in the world act the moment they met their team?). Now here’s the really good news…you only have to keep it up for FOUR MINUTES because that’s the bit they remember. Here’s the even better news, once you’ve bothered to get in a better mood, and let’s be honest it’s not much effort, and you find yourself rolling about on the carpet with the kids, it’s quite pleasant and the more you do it the easier it becomes, so you’ve created this virtuous circle, until before you know it you’re managing all these little four minute interactions throughout the day, most times without even consciously thinking about it. Half business guru, half stand-up comedian, Steve McDermott, is Europe’s No1 Motivational Speaker and shares more big McTips in his International best-selling book “How to be a complete and utter failure in life, work & everything” available on Amazon. As a coach, of thirty years standing, he’s also help hundreds of people increase their confidence and master the art of delivering a brilliant presentation. Remember how you start out most often determines how you finish up. Put your focus on the first four minutes. The top hotels, top organisations and top people have re-engineered the first four minutes of every interaction to make it a massively positive experience for the person on the receiving end.